I need to disclaim first that this post reflects my very personal, utterly subjective views and judgements. Judgements about myself and my own actions, which I reckon will likely be overly critical, knowing the high demands I put on myself. Keep that in mind. I need to disclaim further that my own “definition” of Getting Real is based entirely on how I feel about it, and so there are things that I can’t explain rationally. Hence my elaboration may come across somewhat flowery if not esoteric. But enough prefacing, let’s get down to it. For reasons I cannot explain, I have always felt that my (and indeed everybody’s) existence has got to have a naturally predetermined direction.» I’m also convinced that we’ve been given the proper instrument to sense that direction, an “inner compass” whose north mark points there at all times. Life often makes it difficult for us to sense that direction, and even more difficult to follow it. When we loose direction, we start to feel… lost, and disconnected from what we do. This is how I started to feel about my blog and my WordPress plugins a while ago. To me, that feeling was unbearable. And luckily so, because it made me seriously rethink the path that I’m on. The deciding factor, the one thing that everything else came down to, was time, and how I spend it. For one, the question on a “material level” was: Do I spend my time around here truly focused on things that help me develop a business, a material foundation on top of which I’d be able to live the life I want to live? For another, on a more “spiritual” level, the question was: Do I follow my inner compass? Does the path that I’m on lead me to my “personal north”? In both cases, I had to admit to myself that the answer was “No”. The next 2 questions came naturally: Where is my “personal north”, and why am I not heading there? Ergo, I did what I do best, and ran an in-depth analysis of myself and my situation, a “self-debugging” session if you want, to determine the root cause of that stuck feeling of mine. In the process, I asked myself some really uneasy, uncomfortable questions, and I concluded the true “bug in my system” is my indecisiveness about how I go about Hackadelic. Hackadelic started as a personal blog with self-expression as its only purpose. It evolved half-way into a topical WordPress expert blog. But only half-way. In the depths of my mind I still hung on to the idea of a personal blog. And in my (subconscious) attempt to keep it both, the blog has become neither. No wonder it felt pointless to me. Believe me, this wasn’t an easy thought to face. But it was one that badly needed facing nonetheless. Obviously, there were inner conflicts to resolve between my inner compass and my actual doing. However, this desire has been in conflict with another part of me, the part that is secretly in love with the idea that “software should be free”. That conflict, finally, has produced the emerging paralysis leading to me almost entirely losing interest in hackadelic.com. Conclusively, the only way for me to resolve that conflict both emotionally and time-wise is to get real about my desire to live from creating my own great software products, and to stand by it. Which means that in order to keep my plugin development alive, I will need to dive into premium plugin water. Wow, this has become quite a longish post, and I still have things left unsaid. But the sentence above is such a nice finale. So excuse me, my friends, I’ll end this post for today. But tomorrow is another day, and the fat lady has not sung yet. So there it is. One more confession coming from the depths of my soul. It feels good to speak out. 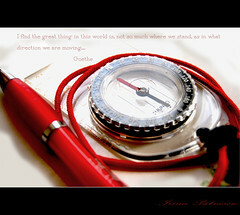 I think following your inner compass is the best thing you can do and I wish you the very best. I think that constant awareness of your thoughts and mind also helps. Ever since I started to become aware of my lack of presence in most daily situations I have almost paradoxically become more present and hence more productive and less inclined to procrastinate. Good man, go with what you believe. Too many broken dreams out there already, no need to add to the pile. Paying for software should not be a turn off, if it is really well done and supported, which yours is and always will be.